Colorful fishing boats called Pirogues, returning to a bustling market at Cape Coast, Ghana. Ghana is a country rich in culture and history. It is located on the west side of the African continent, right on the Gulf of Guinea and just south of the Sahara Desert. Culture shock was felt immediately as each of the Kent State students took in and experienced the sights, smells and sounds that surrounded us. While in Ghana, we immersed ourselves into this new environment which was so different from our lives back home. We observed the daily lives of the Ghanaian people and experienced healthcare through the lens of cultural humility. The country has a small middle-class population, although the trend seems to be one of progress. Our faculty, in addition to students who had the opportunity to travel to the country a year ago, were impressed to see many new construction projects since their last visit. Something that hadn’t changed in this time was the Street Hawkers. These individuals continue to sell a variety of goods, ranging from food to home supplies, to those waiting in traffic. 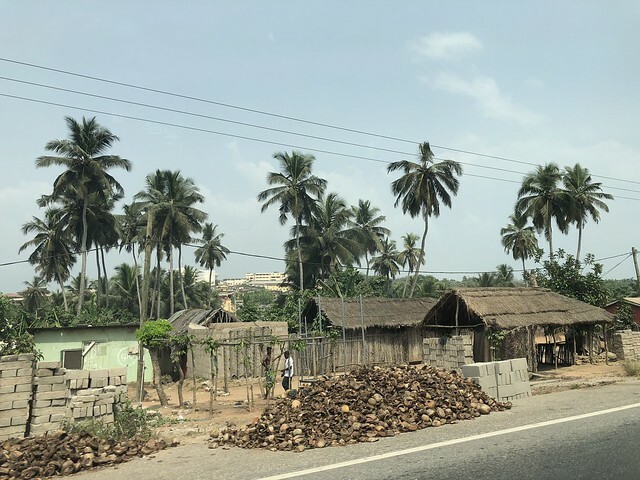 The Mamprobi Polyclinic in Accra, Ghana, allowed us to see the accessibility of resources offered to the community within the healthcare field. Witnessing a community need that was being met was incredibly inspiring. One such resource was the informative posters about reproductive health. These posters provided information for soon-to-be-mothers on a variety of topics, such as how to prepare for childbirth (what items would she need, what are the signs of labor and possible dangers that could occur), information regarding abortion, how to prevent HIV transmission from mother to child, and symptoms of tuberculosis. The resources and opportunities the Ghanaian people cultivate now will positively impact many generations to come.